← Women laugh. Yes they do. 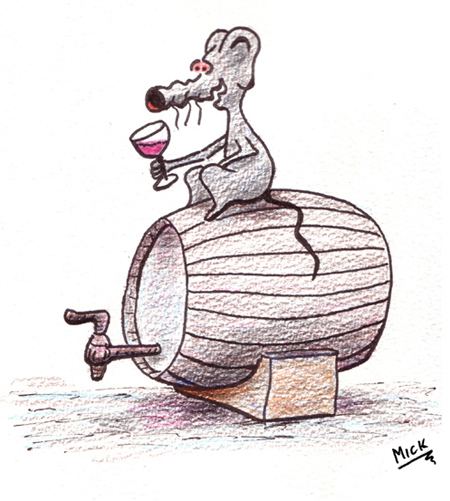 I remember watching a doco on TV many years ago, where the scientists monitored the behaviour of mice. A small group of mice were kept in a series of compartments where they could wander around and mix with each other. There was plenty of space and food, and the mice seemed quite happy. The scientists then added many more mice and extra food to the situation. The conditions had changed, and although they weren’t starving or living on top of each other, there was certainly a lot more mice per square centimetre (or square foot if that’s your flavour). The behaviour of the mice changed dramatically, with continual hostility and skirmishes for no apparent reason. Similar behaviour is observed in humans when comparing living in the open spaces of the countryside to the city apartment blocks. Let’s now extend this line of thought to the rapidly evolving “social media”. We now have a virtual apartment block with millions and millions of people talking in it, all saying “listen to me”, or “look at the pics I’ve just posted”. And so, for no apparent reason, we see the same antagonism and belligerent behaviour, in the form of verbal abuse, threats, and bullying, circulated (by a minority) within social media. Posted on September 15, 2012, in Cartoon, illustration, humour, humor, caricature, political, art, Australia, Perth, cartoonist, Illustrator and tagged Art, Australia, Blog, Cartoon, Family, humor, Life, News, Politics, Rants, Thoughts, Writing. Bookmark the permalink. 1 Comment. Honestly, I believe that the minority that bullies on Social Media has nothing to do with the Mouse experiment, instead it has to do with people acting the way they do in real life online. I noticed a comment you made on not trusting Facebook. That is understandable since you can’t see their code and they aren’t very transparent. My company has an open source social network, so you can read the code and contribute to it!